Are You Ready to Take on the Disgusting Food Museum? They say this experience goes beyond mere exhibits, representing a true celebration of foods from around the world that might seem disgusting to some, but are delicacies to others. If that idea isn’t immediately off-putting to you, then perhaps you’d like to plan a visit and check it out for yourself? Before you do, be sure to read up on all the pertinent background information, which we’ve conveniently gathered for you right here. Disgusting Food? What on Earth Is Going on Here? Let’s start with the basics, shall we? Over in Sweden, a psychologist, Dr. Samuel West (who you might also know by the nickname Dr. Failure), wanted to start a new project after the massive success of his Museum of Failure (another collection you should check out). He got the idea to create an exhibit that would focus on “exploring the shared human experience of disgust and expand the discussion of more environmentally sustainable proteins of the future such as insects and lab-grown meats,” and thus, the Disgusting Food Museum was born. Now, your “mileage might vary,” as the saying goes, and you might be of the opinion that the good doctor just likes to gross people out, and the fluffy, intellectual verbiage justifying his exhibit is merely an excuse to disguise his true goals. Regardless, the Disgusting Food Museum grew popular in Sweden, so much so that the decide to team up with the A+D Architecture and Design Museum, along with Special Entertainment Events, to bring the display to Los Angeles until February 17th. What’s at the Disgusting Food Museum? Stinky Tofu — A malodorous form of fermented tofu from China. 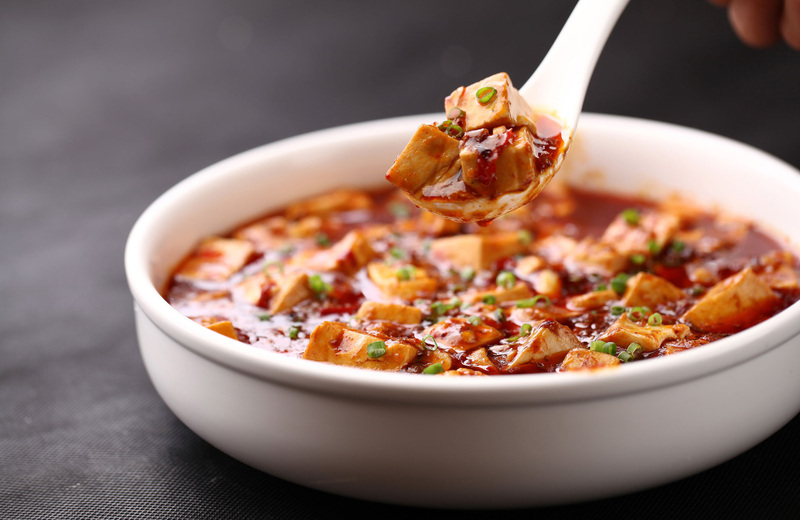 Generally produced in a brine made from fermented milk, vegetables, and meat, then eaten with chili or soy sauce. The taste, by some, has been compared to rotten meat. Baby Mouse Wine — Another Chinese delight, baby mouse wine (like the name suggests) is a kind of rice wine that contains drowned baby mice. The mice can be no older than three days, and each bottle can contain dozens of mice. They say there’s a potential the mice could contaminate the drink if they aren’t collected properly (who would have guessed?) and this supposed health tonic is imbibed for medicinal purposes in both China and Korea. Casu Marzu — Making cheese from sheep milk might not strike you as super strange, but allowing that cheese to become infested with living insect larvae and decompose probably will. That’s right, Casu Marzu is maggot cheese, soft, near-liquid maggot cheese. Sardinian casu marzu experts claim the cheese is only safe to eat when the maggots die inside the cheese, and since said maggots can leap up to 6 inches from the cheese when you disturb them, you have to hold up a hand to block them. As you might imagine, health concerns (such as the fact that ingesting maggots can lead to them surviving in the intestine, causing pseudomyiasis) have cause the European Union to place a ban on this particular dish, driving it into the black market. Surströmming — It wouldn’t be fair for the Swedes to show off all these disgusting meals from other countries without including one from their own. Surströmming, also known as sour herring, is herring (a normally delicious fish) that has been “plucked out of the Baltic Sea” before being allowed to stew in its own bacteria for months at a time. A bit of salt is used to keep the raw fish meat from rotting (charming) and the end result is an epically putrid, canned concoction with an acidic taste. And if you believe any of Dr. Failure’s justification for wanting to explore the idea of disgust, you might also learn a bit about the human condition while you’re at the Disgusting Food Museum. Disgust, it turns out, is a fundamental human emotion, an evolutionary adaptation to “help us avoid disease and unsafe food.” As the museum points out, though, what one person finds disgusting, another may find delectable. They’re hoping that getting people to change their ideas about what’s disgusting could help society at large embrace the “environmentally sustainable foods of the future,” such as insects and lab-grown meat. You might not be sure if they’ll succeed in that goal, but one thing that have done is put together an interesting exhibit and a hearty challenge with which to test yourself. Do you have the stomach to tour the Disgusting Food Museum? Are you brave enough to smell and even taste some of these unusual foods? If so, then you know what to do. Check out the Special Entertainment Events page, where you can find out what days the exhibit is open and purchase tickets, then head on down and test your mettle against the world’s most disgusting food. One thing that everyone can agree is not disgusting is the beauty of buildings like Eighth & Grand. These stunning apartments, located in Los Angeles’ downtown heart, are representative of the city’s continued evolution into something more than it’s ever been before, a new way of life crafted for comfort and convenience. Looking to get in on this luxurious lifestyle? Behold the wonders of Eighth & Grand, and drop us a line to make one of these fabulous residences yours.